Express Scripts says most patients should stick with older, better-vetted classes of drugs. 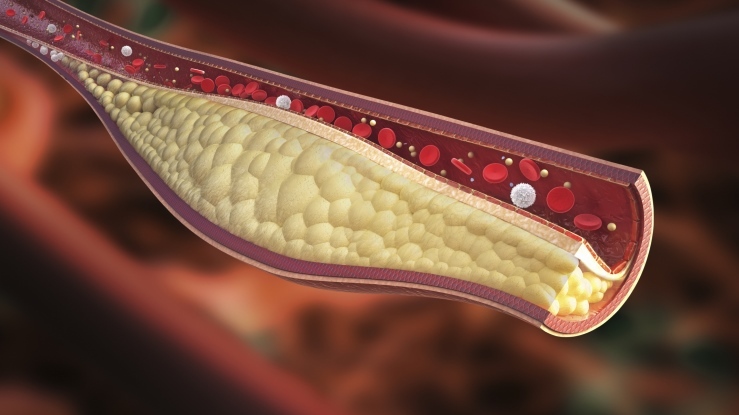 To qualify for PCSK9 benefits, patients will have to show other drugs failed to control their cholesterol problems. (Bloomberg) — Amgen Inc. (Nasdaq:AMGN) and Sanofi SA (NYSE:SNY), competitors in the market for a new class of cholesterol-fighting drugs, will both have their medications covered by Express Scripts Holding Co. (Nasdaq:ESRX), a decision that ends weeks of uncertainty over whether the benefits manager would cut an exclusive deal to cover only one in exchange for big discounts. Express Scripts, the largest manager of prescription drug benefits for employers and insurers in the United States, said it would cover both Praluent, from Sanofi and Regeneron Pharmaceuticals Inc., and Repatha, from Amgen, starting Oct. 12. It’s the first major coverage decision for the drugs on a national basis in the United States, and could be a bellwether for determinations by other insurers and benefit managers. The drugs belong to a class called PCSK9 inhibitors designed to help people with high levels of bad cholesterol who can’t get their condition under control with statins such as Pfizer Inc.’s Lipitor. Payers of insurance benefits have worried they could become one of the costliest drug classes ever, with the potential for $100 billion in annual sales if widely used. Sanofi and Regeneron’s drug Praluent won approval from U.S. regulators on July 24, while Amgen’s PCSK9 drug Repatha was approved on Aug. 27. Since then, doctors, patients and investors been speculating on how insurers would cover the drugs and what restrictions would be imposed on their use. The drugmakers aimed to avert the fate of Gilead Sciences Inc. (Nasdaq:GILD), whose hepatitis C treatment Harvoni was excluded in December from Express Scripts’ main list of covered drugs this year in favor of a competing treatment from AbbVie Inc. (Nasdaq:ABBV). That move set off a price war over hepatitis C drugs, with several other insurers and payers covering only the Gilead medicine. In a statement, Sanofi and Regeneron said they are “pleased that patients in the United States now have increased access to Praluent” and “are confident in the value” their drug provides. Amgen said in a statement that it was “delighted that Express Scripts has chosen to preserve physician and patient treatment choice.” The company plans to “engage constructively with other payers” over coverage of Repatha, according to the statement. For months before the drugs were approved, Express Scripts had openly discussed the possibility of only covering one of the drugs if that was what was needed to obtain big-enough discounts. That proved not to be necessary, Chief Medical Officer Steve Miller said. “In this case, we were able to achieve the discount we desired while also insuring access to both products,” Miller said in an interview. “We were able to get good economics” without restricting the choice of drug for patients, he said. He declined to disclose the amount of discounts Express Scripts will receive, but confirmed the company is paying more than $4,800 a year for each of the medicines. The list price for both drugs is more than $14,000 a year. The Express Scripts decision applies to the company’s main formulary, which covers 25 million people. Overall, Express Scripts manages drug benefits for 85 million Americans, which also includes plans from insurers and employers that make their own coverage decisions. In September, the Institute for Clinical and Economic Review, a non-profit group that evaluates cost-effectiveness of drugs, said its preliminary review found that the PCSK9 drugs would be a good value to patients at prices of as much as $4,811 a year. Express Scripts said that it expects about $750 million to be spent on the PCSK9 drugs next year for the 25 million people in its main coverage list. The Express Scripts coverage will come with restrictions under a program most customers use. To get the drugs, patients will be required to go through Express Scripts’ specialty pharmacy. Heart-disease patients or their doctors will have to provide medical records to prove that they qualify for the drugs. In general, that means showing that they have high cholesterol and that standard cholesterol drugs aren’t adequately controlling it.